How can I protect my dashboard with a password? You can add a password to your existing dashboards at any time. 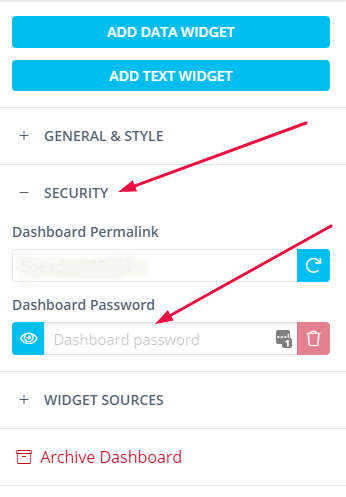 Go to the dashboard you want to password-protect and click on the Security button located on the right. 2. Now you will see the box where you can input your password for this particular dashboard.